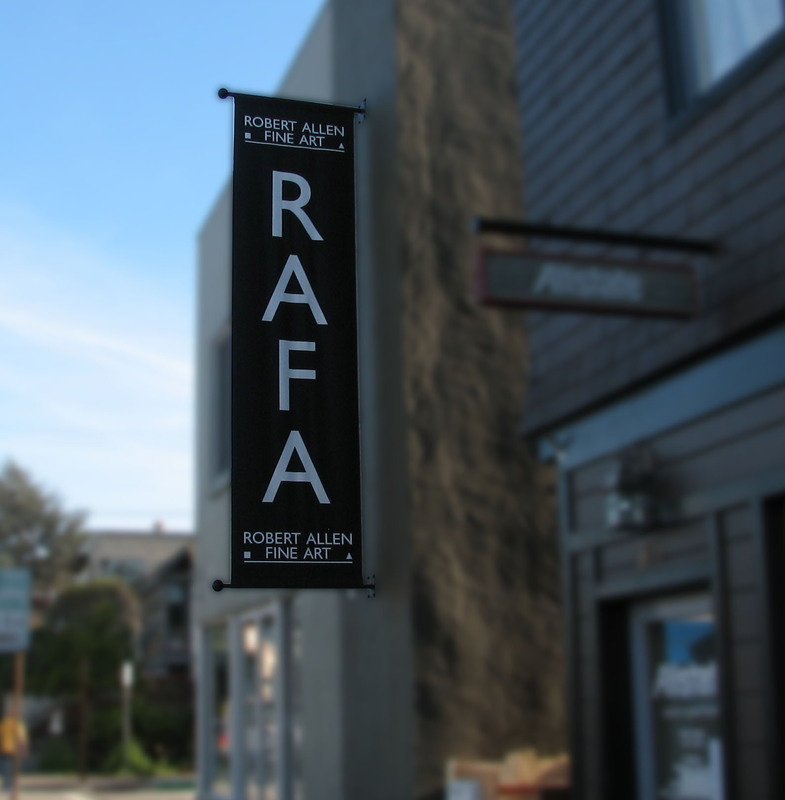 Robert Allen Fine Art Gallery (RAFA) effectively increased their galleries presence in Sausalito, CA with this elegant banner. 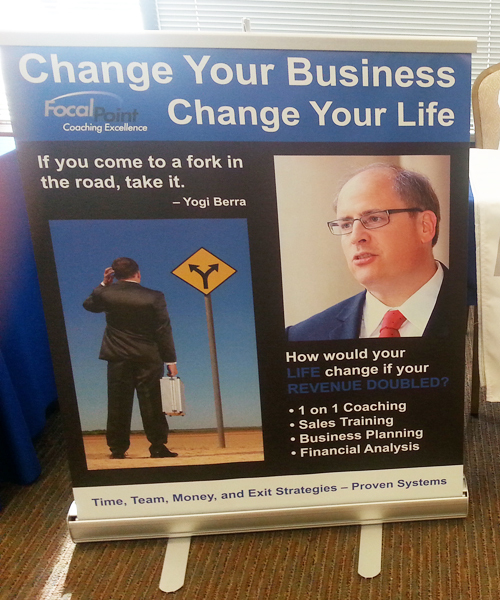 Jim Sackman, Focal Point Business Coach needed an effective retractable banner to draw attention to his booth at networking events. Digitally printed retractable banners are lightweight and durable, easy to transport and makes an instant impact. 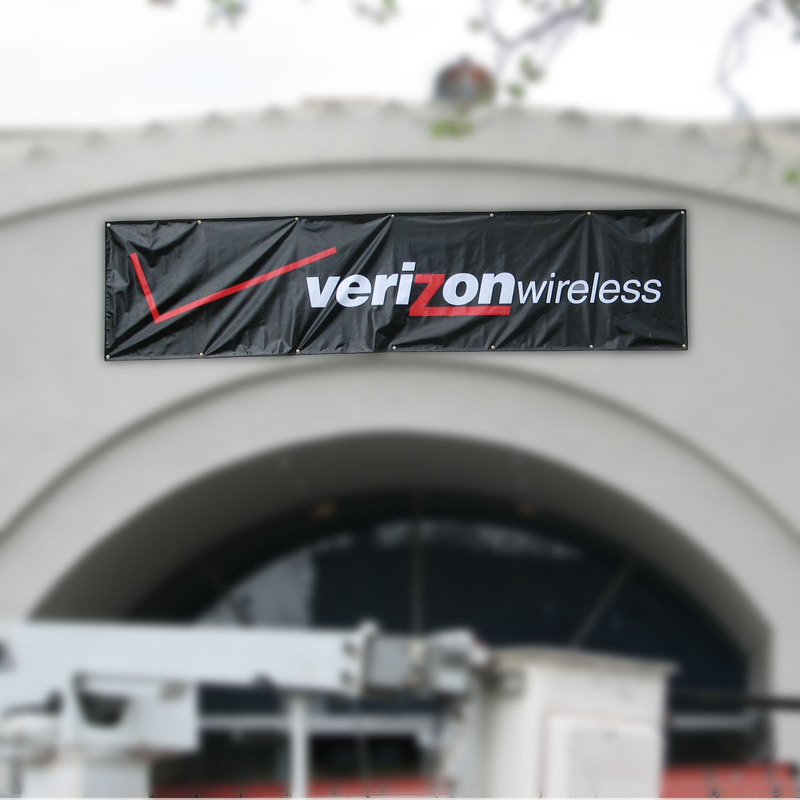 Verizon Wireless commissioned this digitally printed banner to serve as a temporary sign until their illuminated sign was ready to be installed. 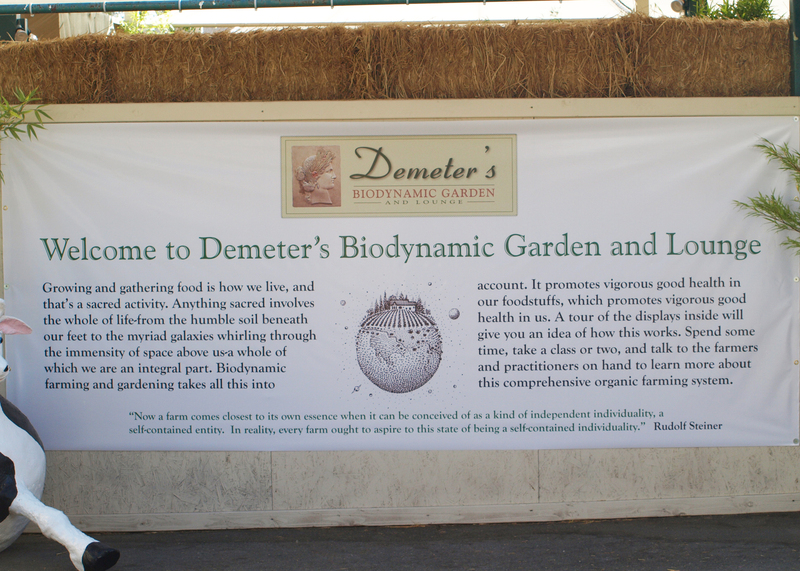 The Annual National Heirloom Seed Exposition in Santa Rosa, CA used this large digitally printed banner to welcome their guests and introduce them to the concept of biodynamic gardening. 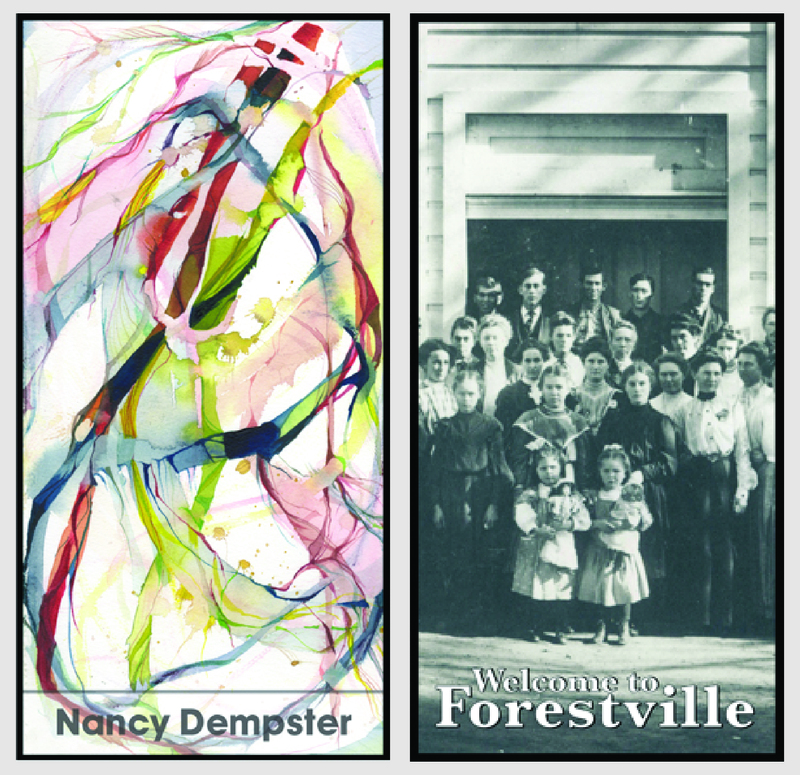 One of nine banners created for the 2014 Forestville Banner project which featured a local artist on one side and a historical photo of Forestville on the other. Gone are the days when banners were boring, forgettable pieces of vinyl with one or two colors of text and simple graphics. Advances in digital print technology now allow us to bring the powerful impact of full-color design to custom banners, and you can dazzle your customers with beautiful and eye-catching banners that communicate your message with style and excitement. We partnered with the Forestville Chamber of Commerce to highlight the town’s unique history, welcome vistors and celebrate local artists. We worked closely with the Forestville Historical Society and Leslie Zumwalt, owner of Frame of Mind to create nine double sided banners, each featuring a historical photo one one side and a local artist custom piece on the other side. All of the artists donated their art, that was then auctioned off to raise money for future banner projects. The community instantly took notice and loved the historical photos of the town and marveled at the artists showcased. This project helped solidify Forestville’s unique identity as a town in Sonoma County, while welcoming visitors. Whether it’s for trade shows, product launches, special events, temporary signage, affordable permanent signage or pole banners such as the Forestville banner project. Custom banners can create a powerfully afforable signage program many other types of signs simply can’t match. Let the creative team at Insight Signs & Graphics create a one-of-a-kind banner guaranteed to communicate your message . Don’t wait – give us a call at 707-887-1303 or contact us today to request a FREE estimate.